Leinster's Champions Cup winning side will return to a homecoming presentation in Donnybrook tomorrow afternoon. 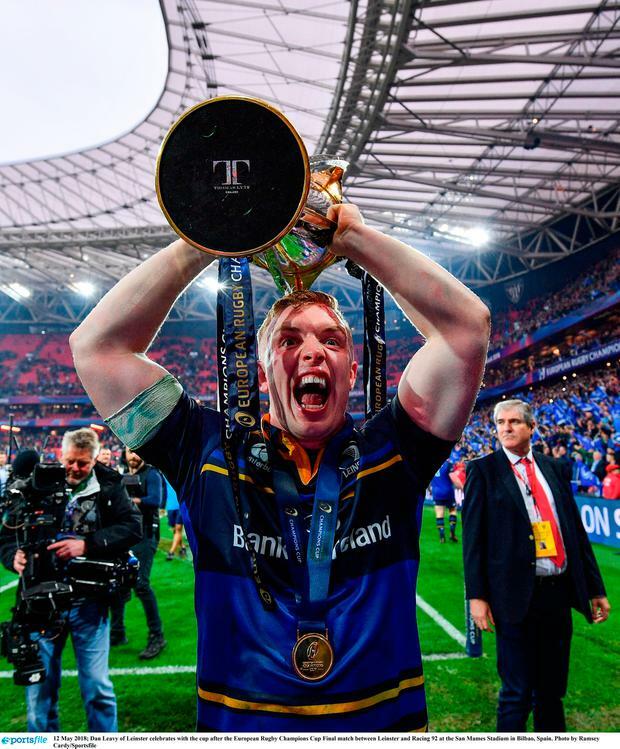 Leinster Rugby announced the squad will be presented to fans in Energia Park (Donnybrook Stadium) at 4pm on Sunday after winning their fourth European Cup in Bilbao this afternoon. A 78th-minute penalty from Isa Nacewa gave Leinster victory over French side Racing 92 in a scrappy affair. A limited number of free tickets to the event in Donnybrook will be available on a first come first served basis on leinsterrugby.ie. Gates will open at 2pm and the final will be replayed on the big screen at the stadium from 2.30pm. Leo Cullen's side won their first European Cup since 2012 in a scrappy encounter in Bilbao, taking the lead for the first time in the 78th minute. Racing fly-half Remi Tales had the chance to bring the contest to extra-time with the last kick of the game, but his drop-goal skewed well wide. The victory is the latest achievement in an incredibly successful year for Irish rugby after the national team wrapped up the Grand Slam with victory over England in Twickenham in March. It is also guaranteed that there will be an Irish side in the final of the Pro14 as Leinster take on local rivals Munster in the semi-finals of the competition next Saturday.